But one Dublin City Councillor has a plan to make travelling across the south-side simpler and healthier, and families are at the heart of it. Paddy Smyth has sent his ‘Cycle Greenway’ proposal to the transport department of DCC, and hopes to have it discussed at a meeting next Tuesday. It involves modifying road markings to favour cyclists, putting in road bumps to slow down cars, and laying down bollards and barriers to create a strategically placed series of cul-de-sacs. 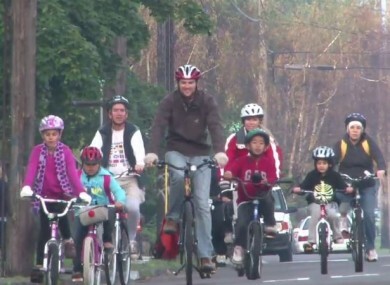 Here’s a short guide to how neighbourhood greenways have worked in Portland, Oregon, where it’s part of a 25-year plan to bring bike rides up to 25% of all journeys taken in the city. The planned route would run from Goldenbridge in the west to Herbert Park in the east, joining the red and green lines of the Luas, and connecting the Grand Canal cycleway to the Dodder Cycleway current being proposed by DCC. The Rathgar-Rathmines councillor told TheJournal.ie that, far from trying to turn our capital into a hipster’s paradise, the project would benefit virtually everyone, and cost very little. This would make it safer for kids to cycle to school, because they wouldn’t be competing with buses for a small amount of space. I’ve picked this specific route because it runs close to a very high density of primary and secondary schools. And because it makes neighbourhoods safer, where it’s been done in the United States, it has increased house prices by 30%. Some roads would need to re-tarmacked, and some pedestrian lights would need to be modified. The cycle greenway would not bar motorists from certain streets, but road markings and signs would simply favour cyclists and pedestrians, he says. You’ll still be able to drive to your house. It will actually reduce traffic, because all those kids being dropped off at school in a car will be able to safely cycle there instead. Sara Sutter, who lives in the Pacific Northwest city and regularly uses the cycleways, was full of praise for them, but told TheJournal.ie that motorists do tend to stay away from them. The greenways are fantastic – cars are allowed, but most drivers steer clear. They are essentially bike lanes, and bikers ride at their ease. Pedestrians also enjoy the greenways and stroll along them with baby carriages and dogs, and sometimes they serve as hubs for gatherings and community building. Smyth, who is a doctor as well as a Fine Gael councillor, also sees a significant public health benefit to the plan. As a GP I see extremely hight morbidity rates from the sedentary lifestyle that we have. Dublin has pitiful cycling rates, and we need to realise that it’s not normal to expect to be chauffeured absolutely everywhere. Email “This politician wants a Portland-style bike route through south Dublin”. 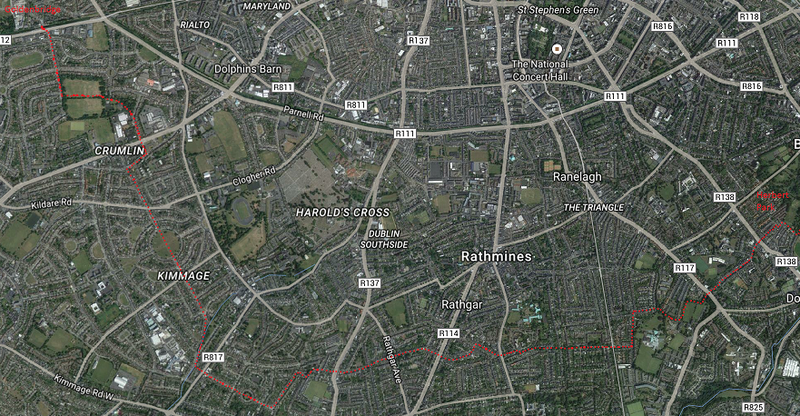 Feedback on “This politician wants a Portland-style bike route through south Dublin”.